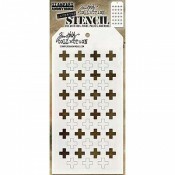 There is no doubt the versatility of stencils make them the latest must have tools. 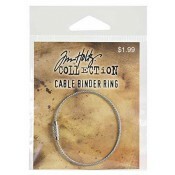 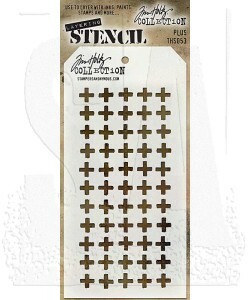 Tim Holtz has designed these stencils so that they are a little more imperfect as a way to add texture and imagery. 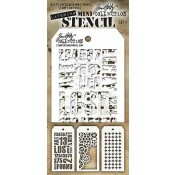 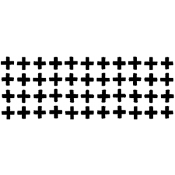 Use these stencils to layer inks, paints, stains - so many creative ways to use them to enhance your projects. 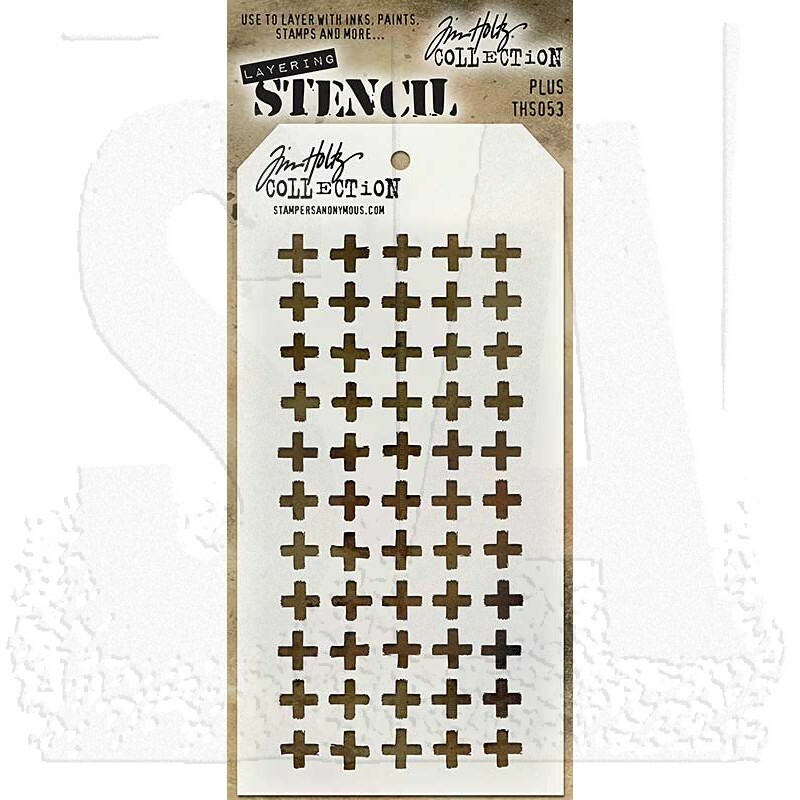 Tag-shaped plus sign stencil measures 4 1/8" x 8 1/2", with a convenient hole in top to attach with a Cable Binder Ring (sold separately).